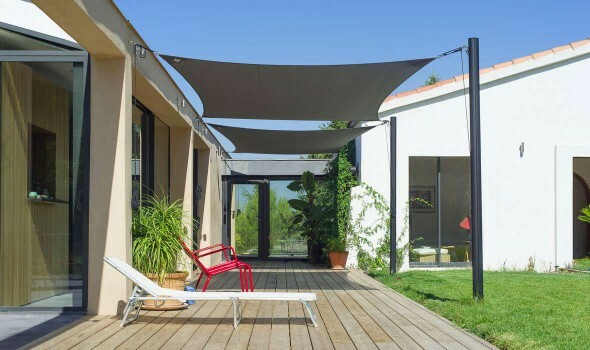 This waterproof shade sail is directly inspired of nautical fabrication processes. The Acryl 300 old rigging is the most nautical of the shade sails. It has water repellant proprieties while preserving the aspect of a natural 100% acrylic fabric.. 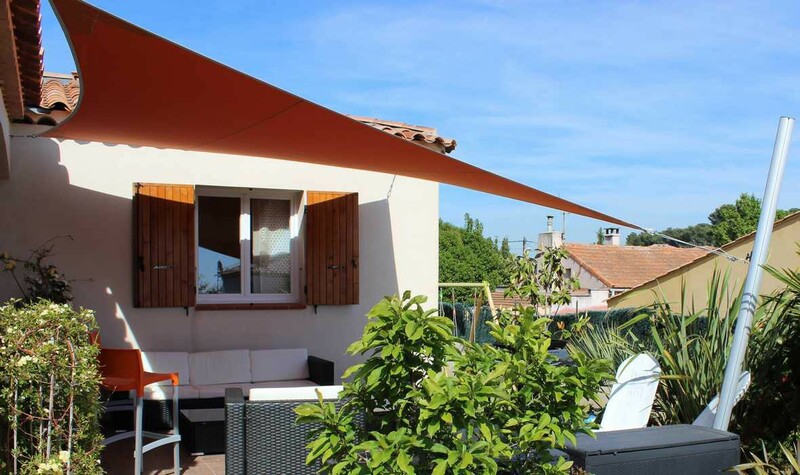 The Acryl 300 old riggings shade sail has all the technical features of our Acryl 300 sail . 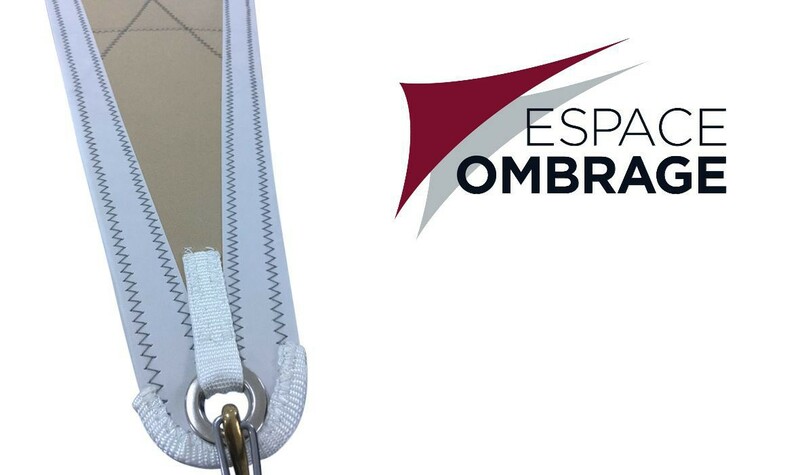 The purely aesthetic difference lies in the special fabrication process that reinforces the marine spirit. Technology from the fabrication of boat sails. Seems guaranteed 2 years . Delivered with a snap hook at every angle. The Acryl 300 old rigging shade sail is available in 25 stylish colors. Suppression of glare while letting light pass in order to guarantee optimal visual comfort. 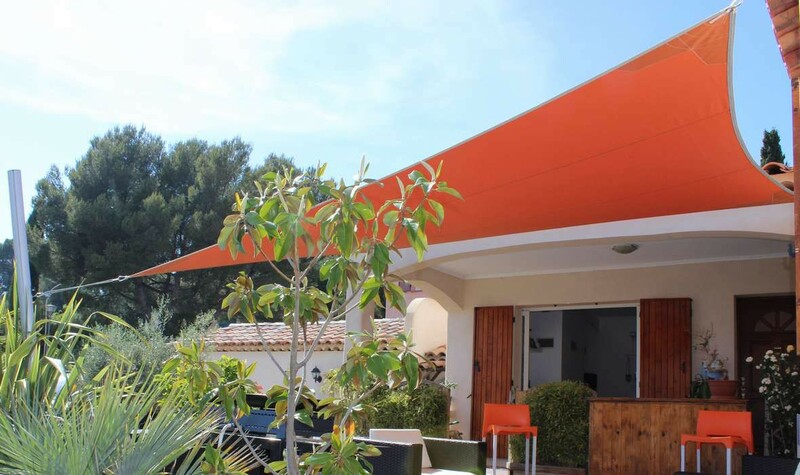 The Acryl 300 old riggings solar shade is adapted to moderate winds (up to 60km/h). The Acryl 300 old riggings fabric is water repellant, water will glide over it instead of infiltrating and passing through it. This is only accurate if the 20% incline has been created and the tension is adequate. Otherwise, a water pouch will create on the sail. The sail seams are none waterproof.. 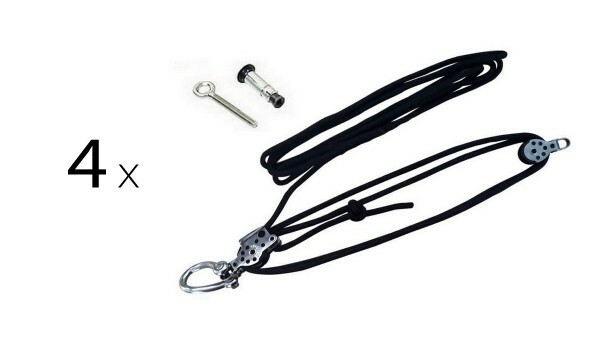 These kits are designed to facilitate your choice and ensure you have all the elements for a successful installation. le système de livraison est totalement foireux ! on nous promet un coup de téléphone du livreur et rien n' arrive, en attendant la marchandise est bel et bien payée ! c'est scandaleux !